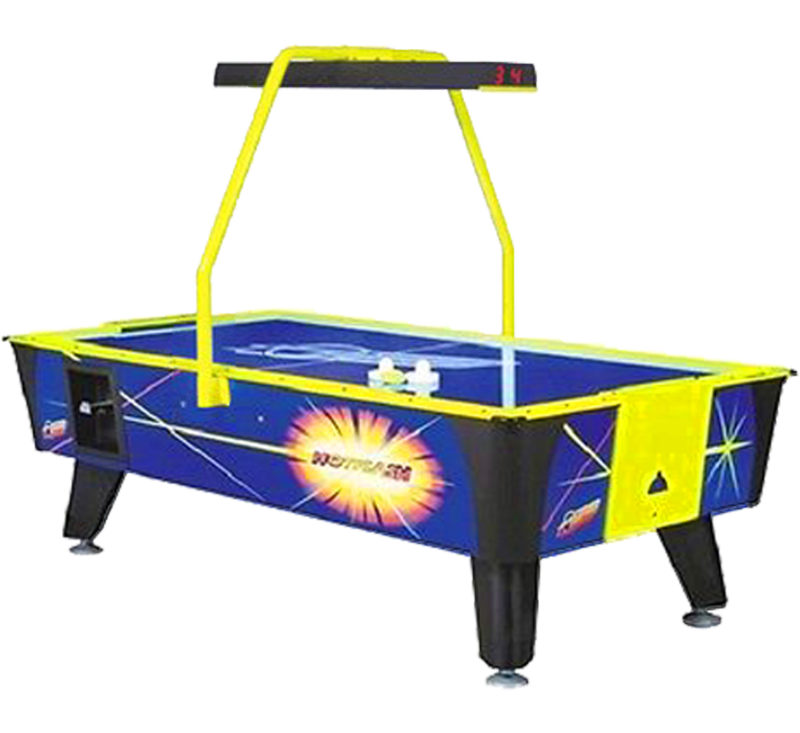 This is the same Dynamo (best table worldwide) air hockey table that you'd find in your local amusement center. Real-deal commercial table with excellent game play, electronic scoring, lighting and hours of fun! Includes bag of tokens (yes, you can recycle them through the machine for as long as you want), two paddles and a puck. This table also includes a built-in puck smoother to keep the puck flying at top speed. Turn your party into an arcade and let the games begin!